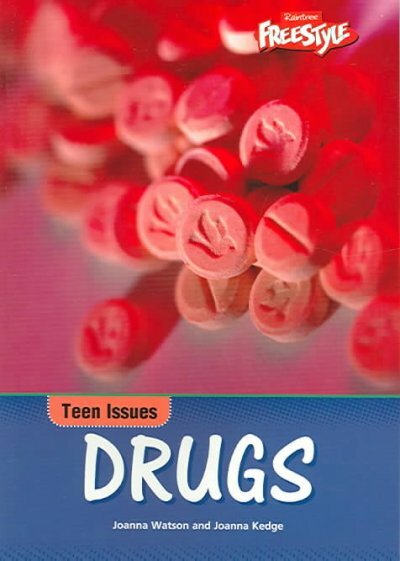 Annotation: Presents information on commonly used illegal drugs and their effects, including heroin, marijuana, cocaine, ecstasy, LSD, and speed. These books devoted to three common addictive substances aren't scolds: the authors show compassion for affected teens, especially in sections describing social and cultural pressures that foster addictions. Unfortunately, the layouts, which bombard the reader with sidebars, keyword definitions, graphics, thought and dialogue balloons, and photos of adolescents ostensibly grappling with addiction, seem like a bad trip. Reading list, websites. Glos., ind. [Review covers these Teen Issues titles: [cf2]Alcohol[cf1], [cf2]Tobacco[cf1], and [cf2]Drugs[cf1].] Copyright 2005 Horn Book Guide Reviews.